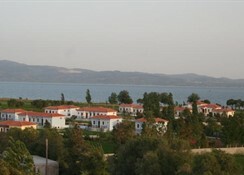 Kalloni village in Skala Kalloni has 26 rooms and distributed across 27 buildings. 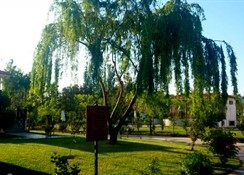 The closest city to the hotel is Kalloni (3 km). To make your stay more comfortable a mini market and a reception are available. The staff in this hotel speaks English. 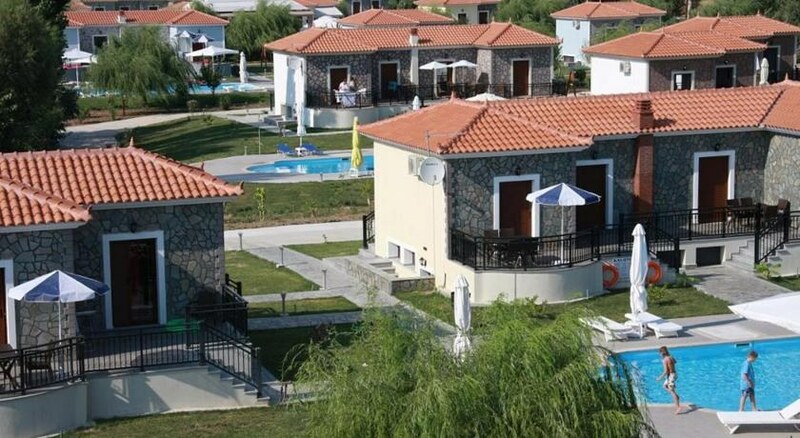 6 swimming pools with a separate children's pool are available. Sunshades and sunbeds are available free of charge at the pool. Distance from the hotel to: tourist information (3 km), supermarkets (3 km), airport MJT (40 km) and disco (3 km). For your entertainment the hotel features a TV lounge. Vehicles may be parked in the parking lot. Amenities: For convenience the hotel offers room service, wake-up service and maid service. Internet access is provided at wifi-hotspots and at internet terminals. Reception hours: 06:00 - 22:00. Meals: The breakfast type is Buffet. Guests are welcome to enjoy their meals at the restaurant. Additional Information: The following payments are accepted: Euro/Master Card, Visa Card and American Express. Additional fees may apply for certain facilities, amenities or activities.